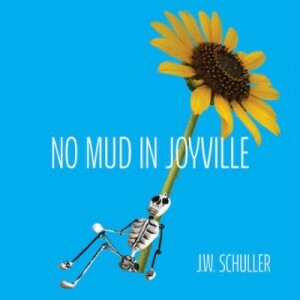 Caterpillars(from the album “No Mud in Joyville“) is a new track from Boulder, CO based indie folk rocker J.W. Schuller. It should be mentioned also that a host of other artists are credited with contributing backing vocals, drums and other instruments. J.W. Schuller’s everything but the kitchen sink approach gives the song a much fuller sound than one would get from an ordinary “guy with an acoustic guitar” project. Somehow he manages to juggle all these sounds to keep the song tight, organized and impressively coherent. Caterpillars is delightful, peppy and brimming with positive energy. I really like the vocals on this track. 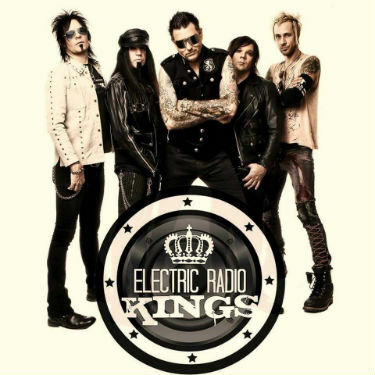 The singer is originally from Minneapolis, and his vocal style has a similar quality to other notable bands from the Minneapolis indie / punk scene like The Siren Six. Something has to be said for the guitars too, which are terrific both in terms of tone and performance. J.W. Schuller plays volunteer gigs at retirement homes, and I could see people of all ages tapping along to this jam and gaining a bit of vitality in the process. Rainy Day Crush, a veteran midwestern band that falls somewhere in between indie, pop, punk and alternative rock has a new EP out titled, I’m Still Alive. It’s an appropriate title, given that the band has appeared, disappeared and reappeared in many incarnations an forms over the years, going back to the 90′s when they were known as “The Other Side.” It’s great to see musicians displaying such tenacity and continuing to come back to what they love and do well. The band features good clean guitars and a solid vocalist. One of their newest songs, Heartbreak (or How to Get Over It) could almost be described as “adult pop punk” but without whiny vocals. The singer is very good in fact, giving the track a dynamic and full quality which enhances the melody of the song rather than merely going through the motions. The tracks on this EP could very well qualify as potential pop hits, if we were still living slightly in another time when bands like Third Eye Blind were in high demand and before we entered the terrible era of garbage pop music we’re mired in now. I”m Still Alive is essentially indie music that’s produced at radio quality, released at a rather unfortunate time. There is always room somewhere for high quality music made by professionals, though. I’m pleased to say that Rainy Day Crush is operating in that space, filling the void with these catchy and coherent jams. They also have a cool album cover imo. 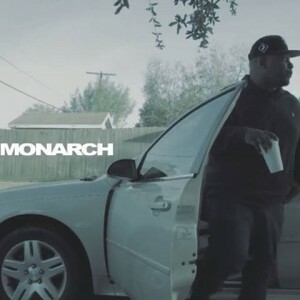 Hailing from Port Arthur, TX, hip hop artist Earl the Monarch released his first album in February of 2017 titled, Pain On the Rocks. He is slated to release a new album, This Will All Be a Memory, and one of the jams set to appear on it is “Hold Ya Head” (featuring Elan Noelle.) Producer LWilliams gives the track a clean, pro sound. Everything in the mix is right where it should be. Earl the Monarch has a laid back, conversational delivery style and relatable persona. 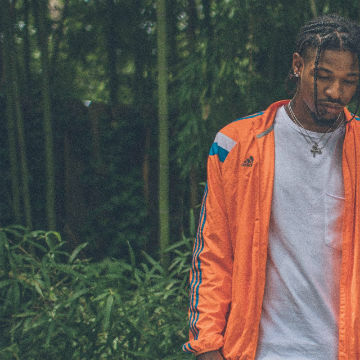 His lyrics are substantive and tell a story rather than relying on flash, ego and gimmickry. The video for Hold Ya Head (shot by Team Rich Visuals) provides context. The interesting thing about Hold Ya Head is it features Earl the Monarch confidently giving words of encouragement and helpful romantic advice to a depressed female over the telephone. At the end of the song though, he arrives outside her apartment only to find that she is opening the door for another man who has brought her flowers. He puts his head down briefly, and we realize that he too is going through a struggle and must hold his head up. Earl the Monarch wisely defies a lot of hip hop stereotypes and cliches and in the process manages to make a genuine connection with the listener. Hip hop artist “Maid” has an assertive new track out titled, Straight Action. It has a full sound, and Maid’s delivery maintains it’s intensity throughout. Like the title suggests, the song’s protagonist sticks to handlin biz and has no patience for any nonsense or chumps. He “feels like it’s his last night” and lives as though it should be action packed. Maid has some solid rap skills and gives a charismatic performance. This is not a jam for laid back chillin or the sentimental but for the focused and determined individual with a take no prisoners attitude toward living life. 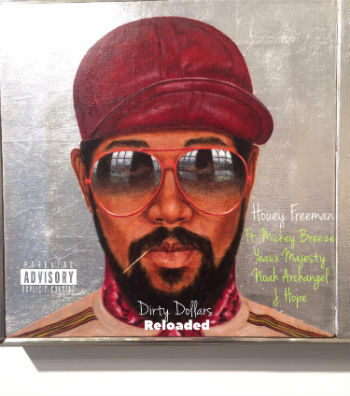 The Band of the Hawk and Houey Freeman, (a Hip Hop producer formerly known as Ash Ra,) have released a debut single Dirty Dollars (Reloaded.) It’s a collaborative effort which features several artists: Breeze, Yeaux Majesty, Noah Archangel and J Hope. This single is set to appear on an upcoming LP titled Godbody Jones. The synth backing on Dirty Dollars (Reloaded.) gives it a kind of dreamy cerebral quality. The rappers on this track are stellar, with on point timing and a flow that never seems awkward. Even with multiple voices and personalities, the song stays the course and doesn’t go all schizophrenic. 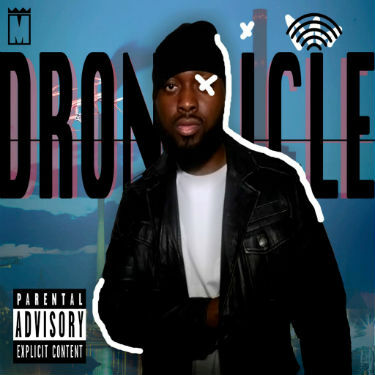 There are also some memorable choice lines such as “Like my whip clean when I’m riding dirty.” This song is more proof of the budding new hip hop scene that is rising out of these young collective efforts. 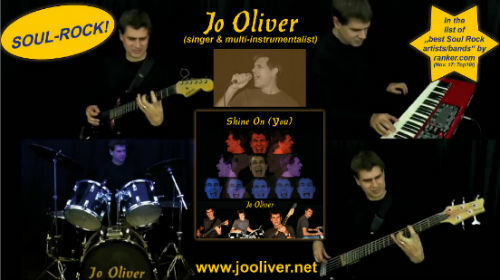 Jo Oliver is a one man band in the most literal sense. A veteran musician, he sings and plays all the instruments on his latest single, Shine On (You) and he does it with a great deal of enthusiasm. The energy he displays in his performance is infectious, and it’s almost impossible not to like this guy. Jo Oliver hams it up for the camera and has a ball, all while managing to play all his instruments very well. Shine On (You) is a little bit of rock, mixed with funk and soul. He certainly puts his soul into making these recordings and it shows. Well well well, what a pleasant surprise this is. It’s not every day that I’m fortunate enough get to review something that I personally would listen to, but this is just one of those days. hERON is a collaborative effort between Progeny of Chisme/Ghost Palace (MPC, guitar, records) and Rob Castro of Grayskul/Chisme/Ghost Palace (bass.) It is also long distance musical project between Seattle and San Antonio. hERON has released a self titled album,(12 songs) and it’s damn good. It has a very authentic 60s-70s psychedelic vibe. The sound and production give it a very retro aesthetic but not in a tryhard way. It’s like if someone recorded an album on an old analog 4-track, but they really knew what they were doing so it came out better than 99% of major label releases. The opening track is titled “chillmode,” a nice little scratchy instrumental jam that would not seem out of place on practically any 1970s Japanese film soundtrack. I thought for a minute that maybe the whole album would be instrumental only, but some tracks like “Kissed Dreams” include vocals, which have a nice warm “AM radio” tone. My favorite song on the album is probably “Flipout,” which could best be described as elevator muzak you might imagine yourself hearing while wandering through a haunted dead mall, and I like elevator muzak. 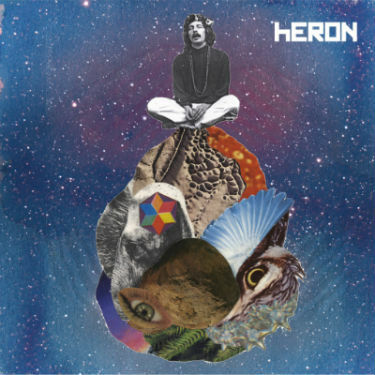 Anyway, there’s a lot of good stuff in here, so I recommend you check out hERON if you have good taste. This bad boy is available on cassette and vinyl as well as digitally. 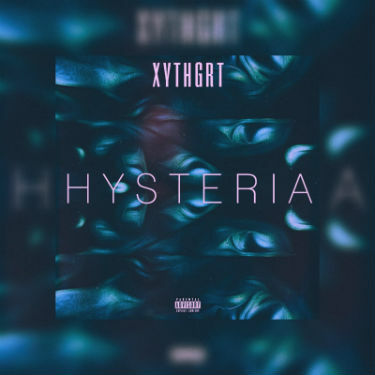 “Hysteria” is a new single from underground rap artist, XYTHGRT. Part of an Atlanta base hip hop group known as Tha Overachievers, XYTHGRT was born and raised in poverty in Memphis, TN before creating success for himself as an artist. The song Hysteria was produced by gfather, and it is a very well produced track. It’s at a level of professional quality, with excellent clarity and mixing. XYTHGRT has a natural, conversational, laid back delivery style. His relatively deep voice adds presence, drives the song and has a certain authoritative element to it. It has a very authentic, deep South vibe. Lyrically, Hysteria deals with romantic and sexual themes. The often repeated line “She just wanna be here. She just wanna see me,” conveys a sense of hysterical, desperate attachment on the part of the female interest in the song. 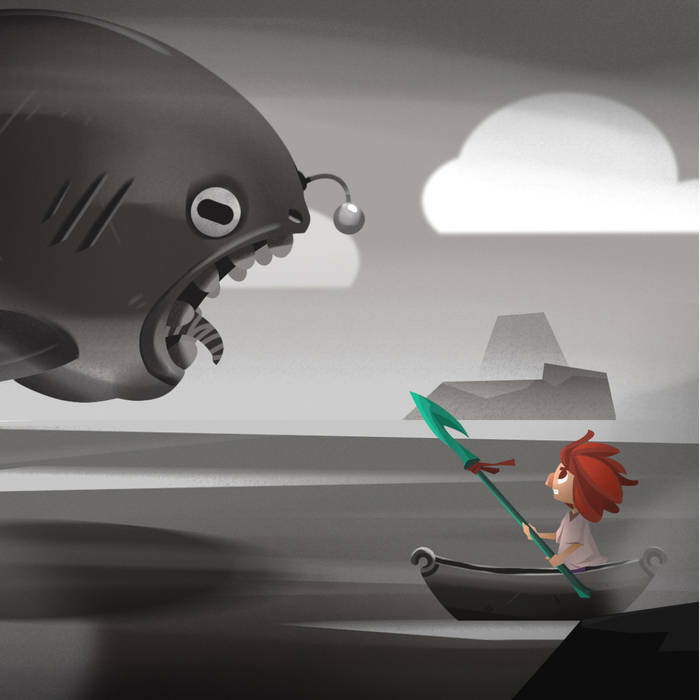 Though also XYTHGRT deals with his own resistance to overly indulging these temptations in order to avoid distraction. Overall, this track does a nice job with storytelling and narrative and manages to hit all the marks musically.